To offer the knowledge and experience gained by Milbat- Israel to organizations dealing in the rehabilitation of people with disabilities, so that they will be able to offer services according to the Milbat model. To create business opportunities for the development center of Milbat- Israel for the development and marketing of technologies for people with disabilities. To assist the establishment in Thailand of a national data base similar to the Israeli site “Azarim“, regarding assistive technology and services to improve the function of elderly people and of people with disabilities. To involve the general public and the private sector in the information regarding universal design, and to help improve the accessibility of the public and commercial environment in Thailand. 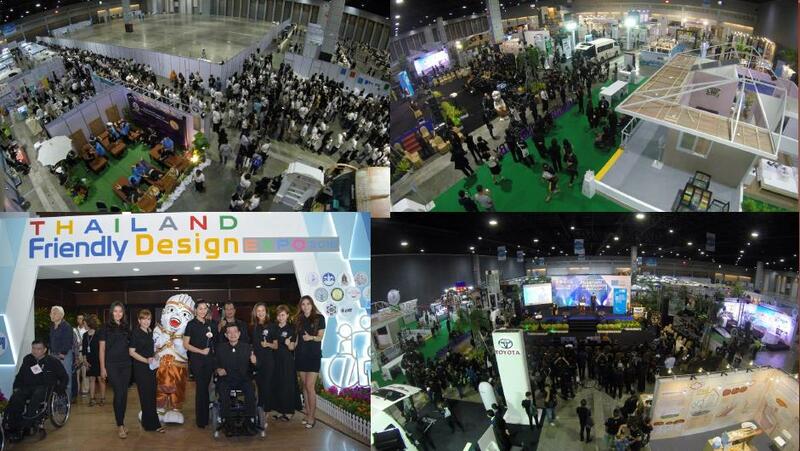 The Thailand Friendly Design EXPO exhibition. 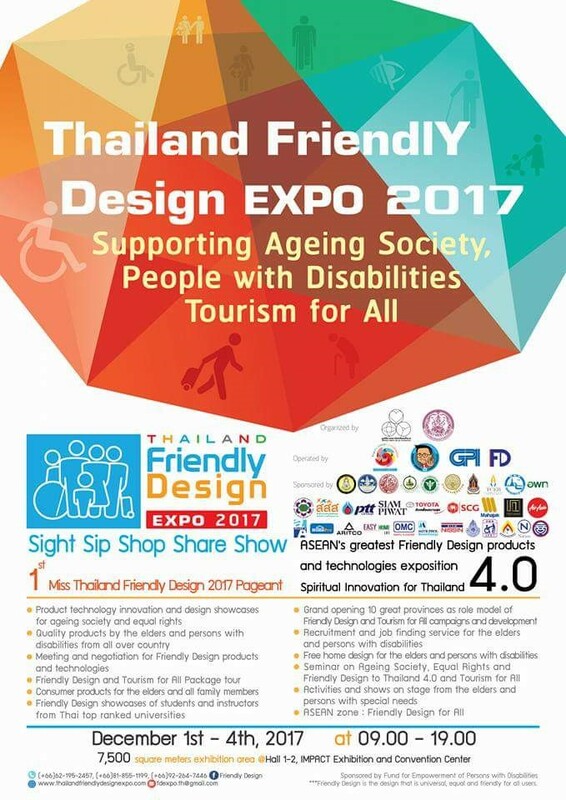 The Thailand Friendly Design EXPO exhibition is an international exhibition of assistive devices, tourism and an accessible environment for disabled persons and elderly people, is taking place in Bangkok for the second consecutive year. This exhibition is the initiative of the Thai “Friendly Design for All” association led by Mr. Krisana Lalai, the famous television personality. Mr. Lalai became wheelchair bound twenty years ago as a result of a road accident and has been promoting the subject of accessibility in the country and the market of assistive devices, as part of his desire to make Thailand more accessible and more friendly to all its citizens and tourists. In the exhibition assistive devices from Thailand and other Asian countries will be displayed. Various events are planned, among them professional workshops and study days, performances of artists with disabilities, and the “Friendly Design Miss Thailand” competition. The Thai prime minister and his deputy have been invited to open the exhibition and honor it with their presence. They will be accompanied by governmental ministers, public figures and senior rehabilitation professionals.Mr. Krisana Lalai invited Milbat association to participate in the exhibition after being impressed by our activities in Israel and our wish to co-operate with rehabilitation factors in Thailand and its neighbors. Milbat is interested in spreading its model of activity and finding business partners for developing and marketing its products. A display of custom assistive devices created by Milbat’s volunteers designed especially for individual user. A display of commercial devices developed by Petel, Milbat’s R&D center. A demonstration of the professional counseling procedure practiced in Israel by offering personal counseling to the visitors of the exhibition using a computerized system of mapping pressure areas, in order to improve the seating of wheelchair users. Those members of the Thai RICD organization who are involved in the wheelchair project, will also accompany the booth of Milbat. This organization situated in Chiang Mei, is engaged in a unique project in which thousands of wheelchairs are renovated every year as part of the activity of the rehabilitation center. These wheelchairs were donated to Thailand from different areas of the world and are distributed free of charge to disabled people who requires them all over the country and also in neighboring areas. As part of the co-operation between Milbat and RICD, technical representatives of the organization will participate in a special workshop which will take place in Chiang Mei, led by Milbat’s occupational therapists seating experts. In addition, during the days of the exhibition the Milbat booth will be manned by technical representatives of the organization, who together with the experts from Milbat will make necessary adjustments to the wheelchairs of visitors to the exhibition. These will be part of the demonstration of the counseling process in the area of wheelchair seating.